Rio Grande Valley residents are like most Texans: We love football. Much of our population can be found at a local high-school football stadium on Thursday, Friday and Saturday nights during fall to watch our teams battle it out on the gridiron. 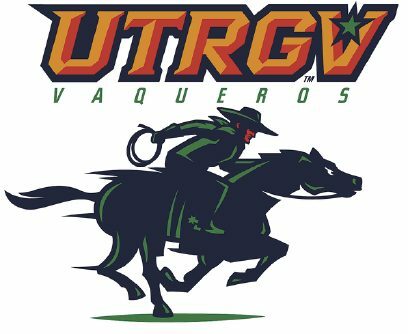 So we are intrigued if not excited by University of Texas Rio Grande Valley officials’ dream of adding football to their athletic programs. But like many residents, we wonder if it’s plausible or merely a pipe dream. University President Guy Bailey has included football on his long-term wish list since almost the beginning of the new school that merged the UT Brownsville and UT-Pan American campuses into a regional institution in 2013. We appreciate Bailey’s big dreams, and his aggressive efforts to realize them. His guidance has brought a rapid expansion to facilities and programs. More conservative types might find such assertive moves a bit unnerving, especially when they involve the millions of dollars, both public and private, that go into running a major university. UTRGV has taken a strong first step in commissioning a feasibility study. That study, launched last year by College Sports Solutions and released to The Monitor this month in response to a Public Information Act petition, confirms that a football program would be a major investment. Millions must be spent on facilities, coaches and staff, equipment and scholarships, and the endeavor is expected to lose money for at least the first few years. Other related costs include the need to abide by the mandates of Title IX of the U.S. Code that require parity among men’s and women’s athletic programs. Adding football would require eliminating another men’s sport or adding another woman’s sport, and the additional expenses that would require. The CSS review rightly addressed such concerns, as well as the need to be part of an athletic conference that supports football. University officials should start sending out feelers soon to gauge conferences’ interest in admitting UTRGV. Unfortunately, this area is a bit remote, and some universities might resist adding a campus that would require the kind of travel expenses — for other sports as well as football — to commit to coming here frequently. An unwritten but obvious concern is the need for the football program, like its other sports teams, to be competitive. People will lose interest in a perennial loser, so the university will have to be willing to invest in coaching staffs that improve their chances of success. Would it be better to wait until the university has more alumni who are willing to support their team even during losing seasons? Officials must continue to build this young university’s academic programs, with the investment in campus improvements they might require. People might oppose a football program if they believe it takes resources that could be used for academic development. Also, the study notes the program would require a significant investment from student service fees. With a student body that is so heavily reliant on financial aid, securing student votes to impose such fees on themselves could be a challenge. Academics is a university’s primary mission, but a strong athletic program can put UTRGV on the map faster than academic achievements. So it’s good that university officials requested the study, so they can determine the plausibility of bringing college football to the Rio Grande Valley. It’s an exciting proposition — but one that shouldn’t compromise its main function, which is education.